Horticultural crops are those that serve to fit the special food and aesthetic needs of humans. In horticultural crops, quality is supreme. While it is true that there is no arguing about taste, the fact of the matter is that many horticultural crop cultivars with unique qualities are so unique, admired, and appreciated that they become the basis for entire industries. Examples include the 'Bartlett' ('Williams') pear which dominates fresh fruit production and is almost the only cultivar used for processing, 'Hayward' kiwifruit, 'Smooth Cayenne' pineapple (for processing), 'Clementine' mandarin, and 'Dwarf Cavendish' banana. In horticultural crops, breeding objectives must be consumer directed because consumers make individual decisions about consumption and make choices between different cultivars and alternate crop species. Innovations of individual breeders combined with further breeding efforts to increase usefulness and adaptation are the key to horticultural progress. It is clear that a way must be found to incorporate consumer satisfaction in the selection process. The contents includes l Objectives and Scope of Plant Breeding l Modes of Reproduction, Mating Systems & Their Significance on Population Structure l Modes of Pollination Control and Systems of Breeding l Sterility and Incompatibility Systems l Genetic Properties of Populations Under Equilibrium; Changes in Gene & Genotypic Frequency, Genetic Load, Genetic Drift l Factors Affecting Gene and Genotypic Frequency l Factors of Evolution and Speciation, Importance of Biodiversity Conservation l Implication of Taxonomy In Breeding l Mendalian Inheritance and Non Mendalian Inheritance l Crop Improvement Methods – Plant Introduction and Selection; Through Hybridization; Pedigree Breeding; Bulk and Single Seed Descent Method; Mass Selection,Recurrent and Reciprocal Recurrent Selection; Back Cross Breeding l Development of F1 Hybrids l Synthetics and Composites l Mutation Breeding l Polyploidy Breeding l Breeding Methods for Perennial Horticultural Crops l Breeding Methods for Annual Horticultural Crops l Breeding for Biotic Resistance l Breeding for Abiotic Stress Resistance l Molecular Markers,Genetic Fedelity Conformation and Markers Assisted Selection l Genetic Transformation Methods in Plants l Gene Silencing It is hoped that this book will be useful to all stakeholders involved in breeding in Horticulture. 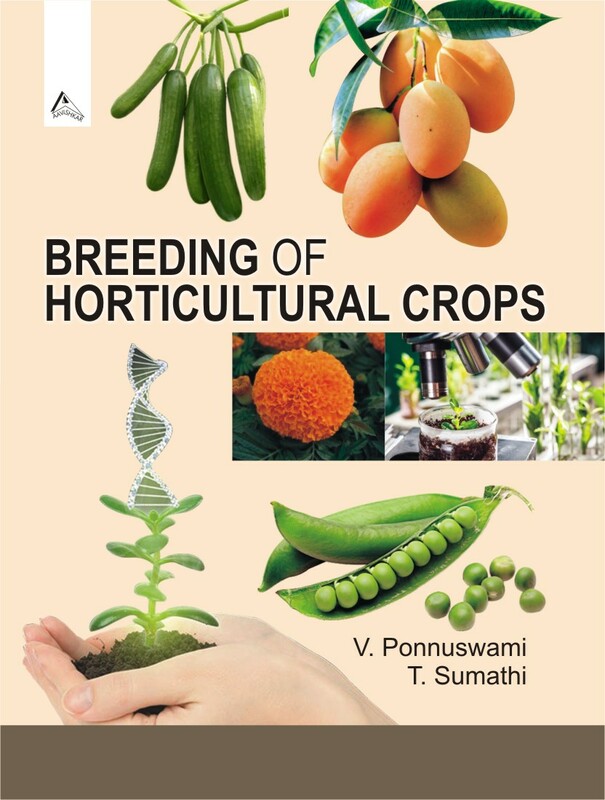 The book is designed to prepare students for postgraduate school or careers in research and development of horticultural crops.